As the Easter season comes to an end, I am reminded of the blessings I have and those day to day moments that make me smile. These are some of the happy snippets from my week. All pictures were taken by me, unless otherwise indicated. Follow me on Instagram (@blogger_bp) to see more! 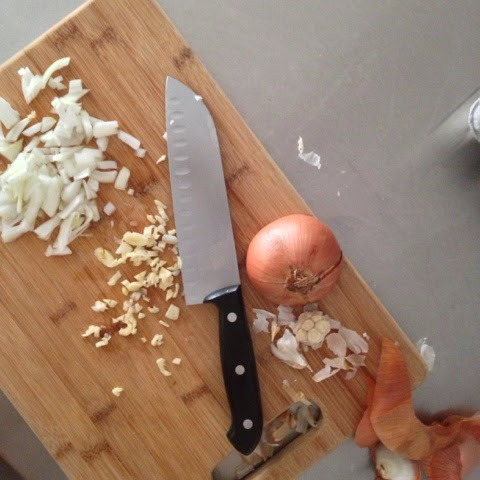 I started cooking again– it’s been a while. I have been surviving on green smoothies, take out Pho, lettuce wrapped Super Duper burgers, and Amy’s Organic vegetable soups for the past weeks. Wielding a kitchen knife and hitting the farmers’ markets again has felt Oh-so-right … Even the simplest homemade dishes, when prepared with my hands, make me feel like I’ve come home. I wish I could say I found my original P.O. Box key after misplacing it for a few weeks, but having it replaced was good enough. Since the stern postal worker who warned me I’d lose it months back when she saw me casually toss my key into my bag was nowhere in sight, I had the guts to ask a different person for a spare! 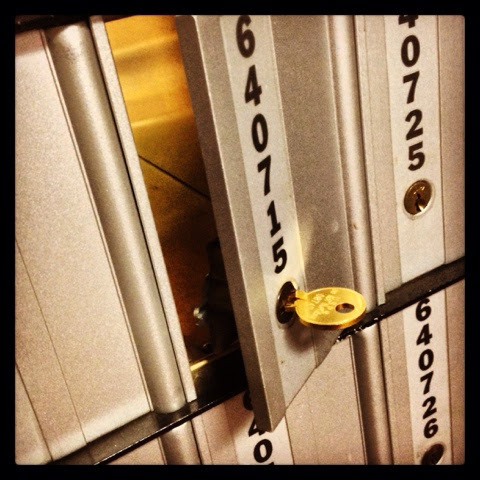 Time to catch up for National Letter Writing Month! Chilling on a bench one morning at one of the quieter places in the city. I love how crisp early morning air can be, and how sitting in the right spot at the right time of day, gazing out at brick, cement, and glass buildings can be as calming as sitting at the beach. I take what I can get. BUT this happened too! 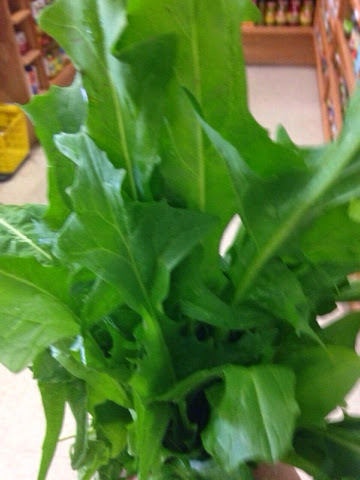 Dandelion greens are at their peak in spring! I like how these leaves clear things out and help me feel good (typically sans potato chip binge). 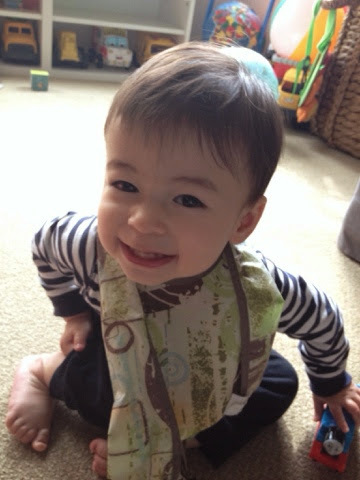 “Cheese!” My sister iMessaged my hubby & me this picture of our little nephew she took last Friday afternoon. I dare say this toddler loves us as much as he loves Thomas the Tank Engine! Who wouldn’t be cheered up by that little face (and those baby feet)? Here’s to more moments, my friends! How was your Happy Monday! Happy for your cooking. 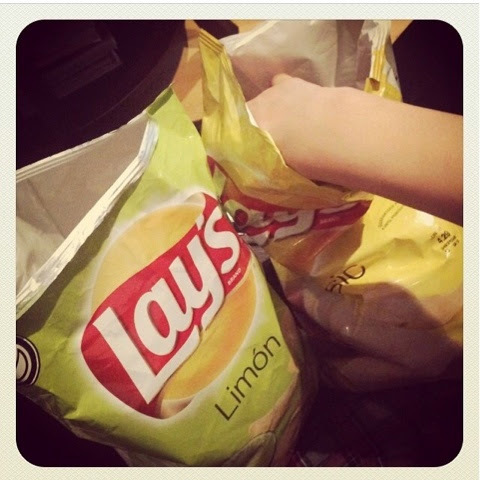 Laughing at your chips pics. 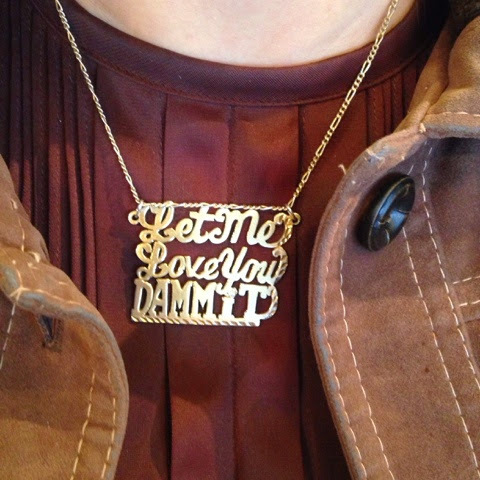 And that necklace is brilliant. And the nephew and park bench place will keep you grounded. You are doing a great job at being you BP, keep it the heck up. 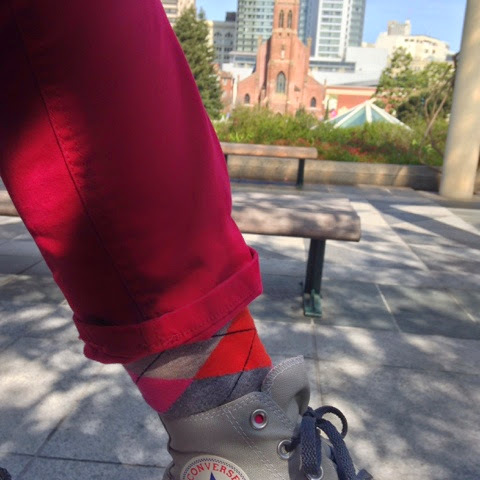 I like the Converse kicks … And them groovy socks. 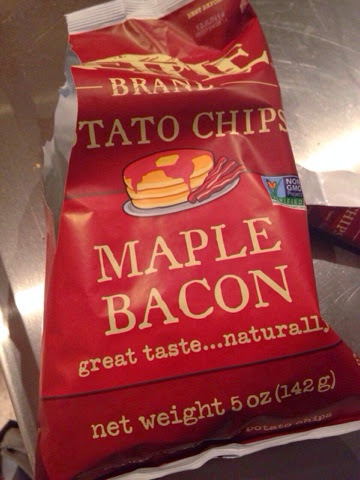 Whoa, chips! Well in THAT case, I sure will, Carolyn! Thank you!!! Yay! Right? Why not! This week am being better.. cooking actual potatoes vs the bagged (and sinfully delicious) ones.